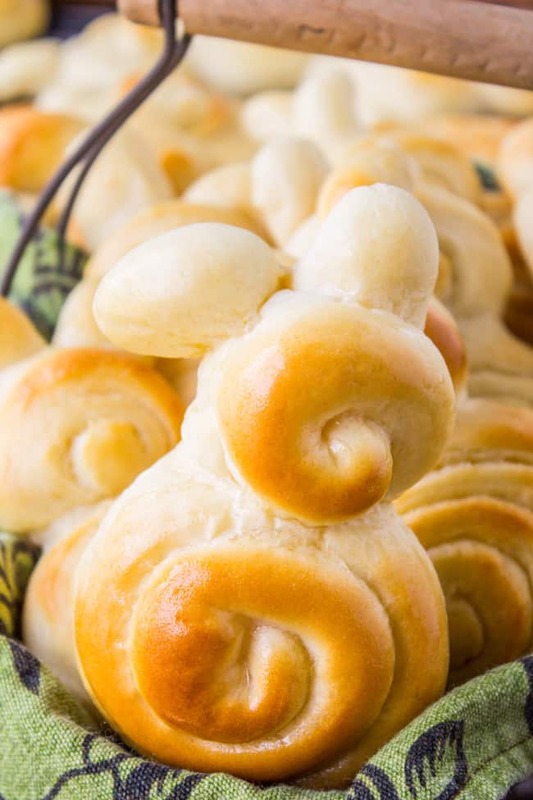 The best dinner rolls you will EVER put in your mouth, rolled up into a bunny until they are almost too cute to eat. (Almost.) 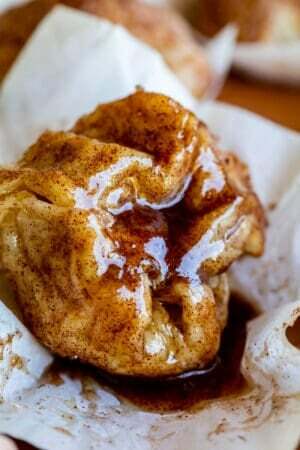 Don’t be intimidated; if you can make cinnamon rolls, you can make these. A fun Easter project! 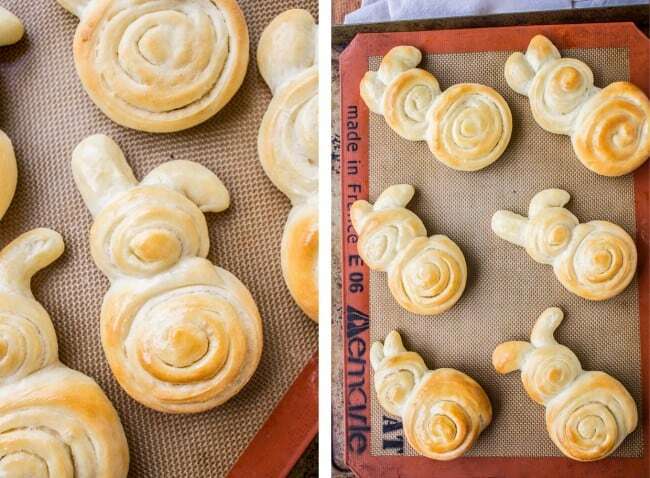 I’m wondering if this year I could just bake her a few of these bunny rolls instead. They are small and cute and YOU ACTUALLY GET TO EAT THEM. I think I am missing the cute and furry gene. 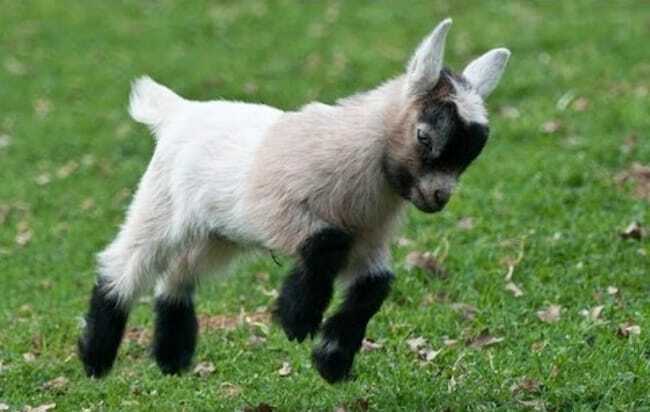 I mean don’t get me wrong, I love baby goats and all, but I don’t find myself googling them with any regularity. I think it stems from when I begged my parents for a hamster when I was a tween. I beeeeeegged them. They finally gave in, smelly cage and all. Maybe I should try out rabbits. Eating them. With butter. And honey. With ham and scalloped potatoes and jello and asparagus on the side. These rolls look difficult, but they’re not. A little time-consuming the first time around, but if you can make cinnamon rolls, then you can whip these up no problem. 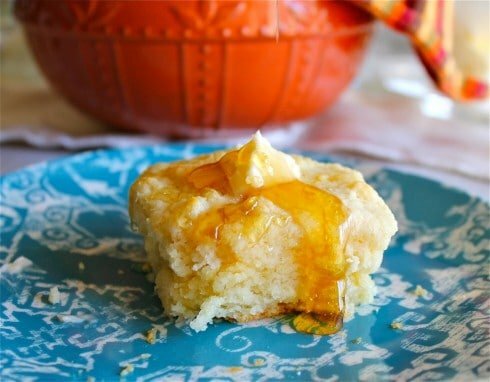 The recipe is from a restaurant in Salt Lake City called The Lion House, which is hugely famous for their rolls. It is my favorite roll recipe to date. Very soft and tender, with a perfect crust. I’m not telling how many bunnies I ate today. 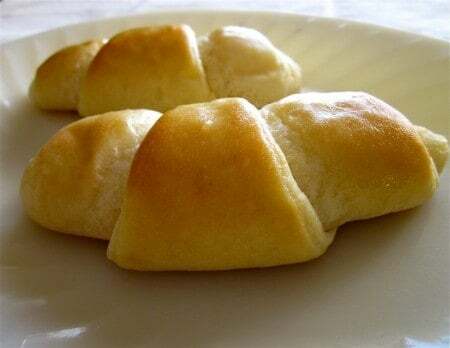 Follow one of the links below the recipe to see how to shape them like normal rolls. 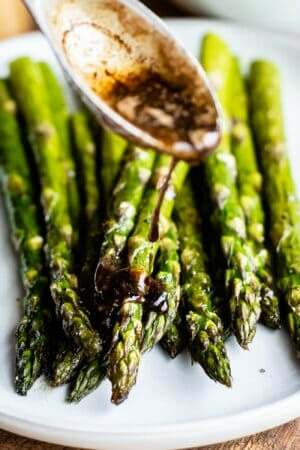 Eat these with Cinnamon Honey Butter. HEAVEN. Add sugar, salt, 1/3 cup softened butter, 1 egg, and 2 cups of flour. Use the paddle to beat on low until combined. 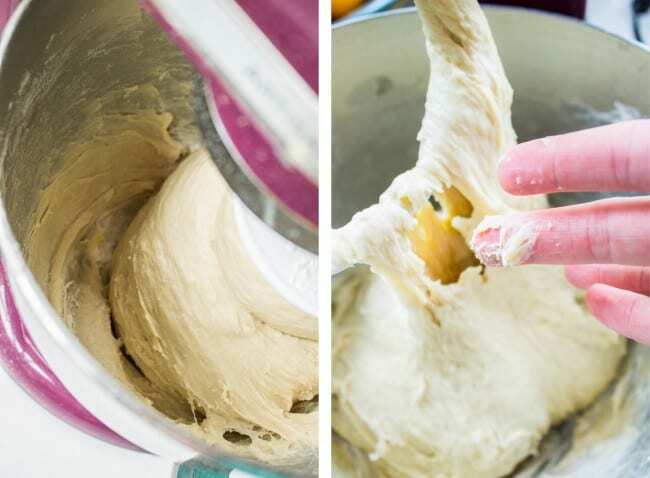 Switch to a dough hook. Add 3 more cups of flour, one at a time, stirring in between. You can add up to 6 cups of flour, or until the dough starts to pull away from the sides of the bowl, and it is tacky but not sticky. 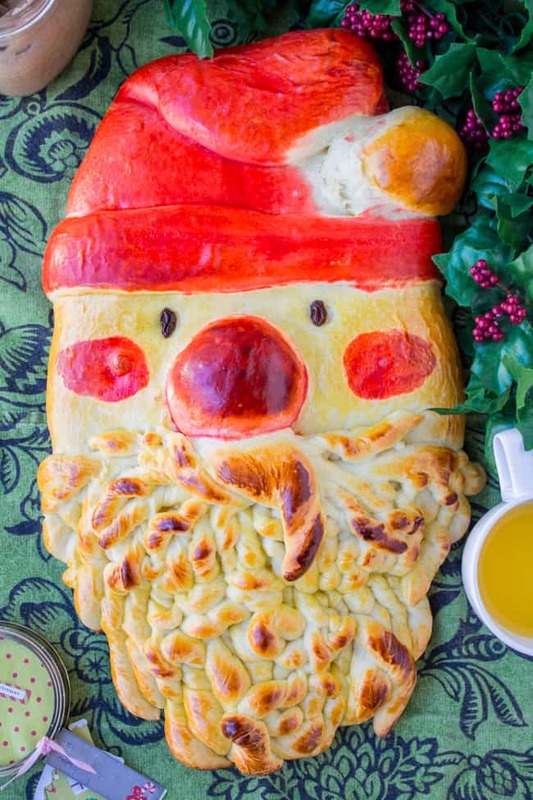 It is a soft dough. If it is humid you will need more flour. Knead with the dough hook for about 5 minutes. Scrape the dough into a large greased bowl, cover with a cloth, and let rise in a warm place for about an hour, or until doubled. I like to turn my oven on to warm (170F), turn it off, then put the bowl in the oven with the door ajar. Lightly dust a large workspace with flour. When the dough has doubled, punch it down and knead it together with floured hands a couple times. Split the dough in half, one half slightly larger than the other. Add the smaller half back to the greased bowl, cover and set aside. 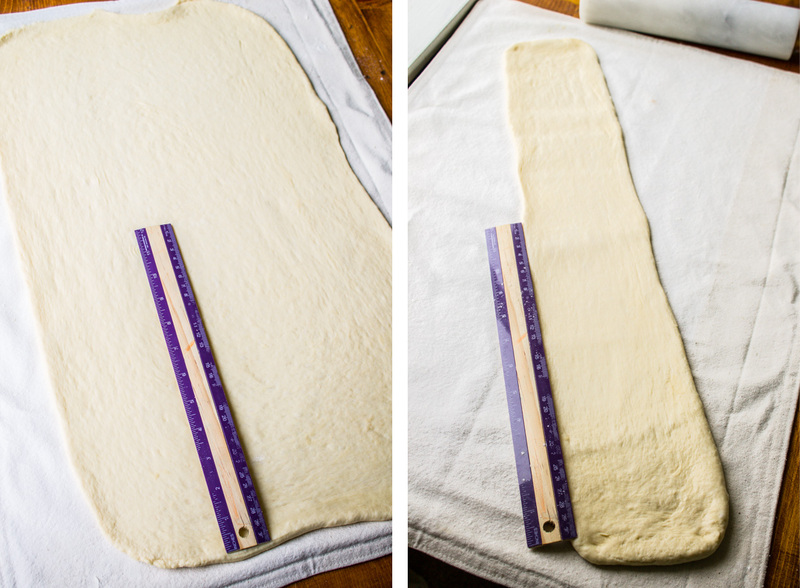 Use a rolling pin to roll the larger half of the dough into a 11 x 24 inch rectangle. Spread about 2 tablespoons of very soft butter over the dough. Roll up, starting on the long edge. (You should have a roll that is 24 inches long). Prepare 3-4 large baking sheets with nonstick spray, silpats, or parchment paper. Place the rolls on the sheets, making sure there is plenty of space for the head and ears, plus rising. I put 6 rolls on 4 sheets. Cover each baking sheet with a cloth. If you have room, refrigerate them so they don't rise while you prepare the head and ears. If you don't have room, do the next steps fast! Divide the remaining dough. Pull off how much you think you need (definitely less than half) to make 48 bunny ears. Set aside. Roll the remaining dough into a 24x6 inch rectangle. 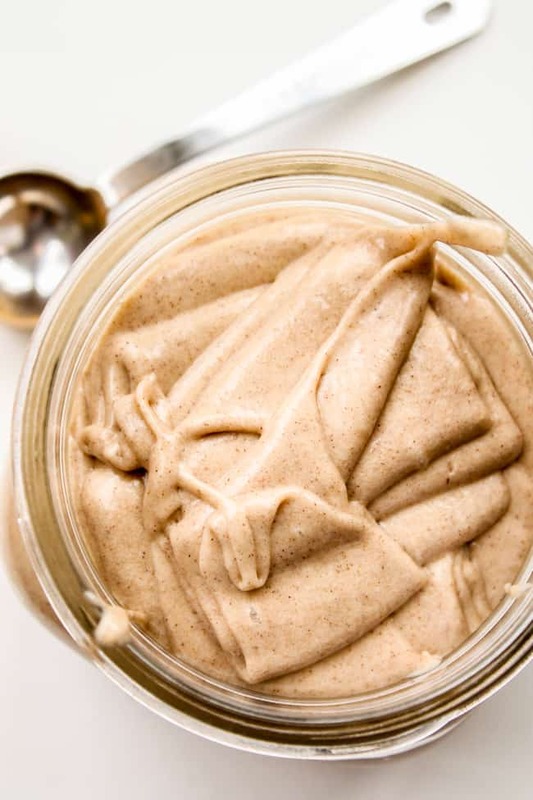 Spread with about a tablespoon of soft butter. Roll up the dough starting from the long edge (you should have a 24 inch roll). 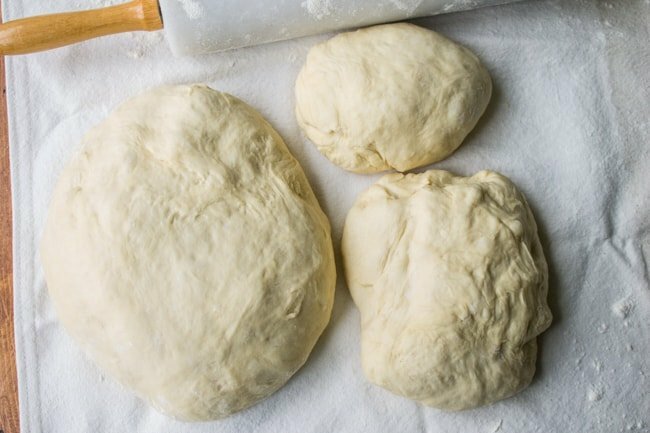 Use a sharp knife or floss to cut the dough into 24 pieces. Have a bowl of water handy. Dip the bottom of the "head" into water, and tuck gently underneath the top of the body. Just enough so that they will stick together. I like to put the head on the opposite end of the "tail" of the spiral of the body, so that it looks a little like a bunny tail. (see photos) Repeat with remaining bunny heads. 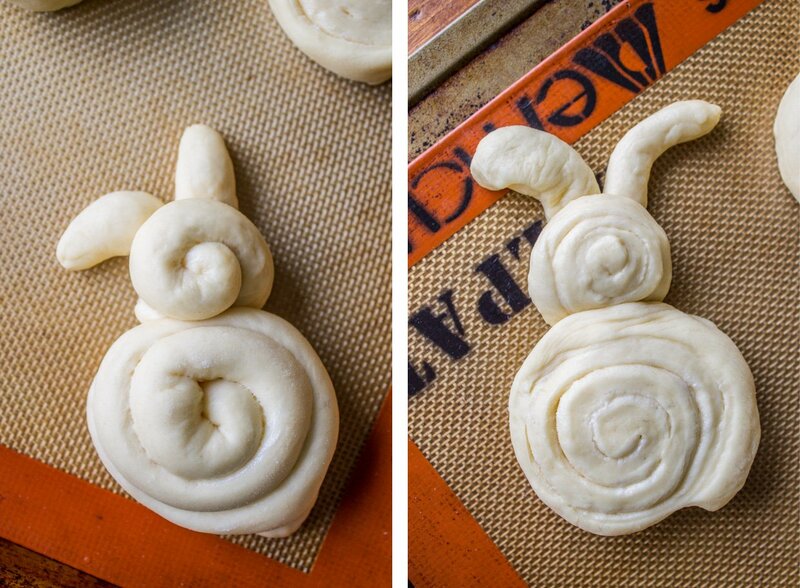 Use the remaining dough to form ears for the bunnies. I just rolled little pieces of dough in between my palms, dipped the end in water, and tucked it under the head. Don't forget to make a few of the ears floppy! Cover each baking sheet with a cloth. Let the bunnies rise for 15-30 minutes, until they look puffy. Remember they will rise more in the oven. Bake the bunnies 2 sheets at a time for about 10 minutes, or until golden on top and the bottoms are brown when lifted with a spatula. Halfway through baking time, switch the baking sheets (move the one on top to the bottom, and vice versa). Soon after removing the bunnies from the oven brush with melted butter. Or you could rub the hot rolls with a stick of softened butter. Let cool on a cooling rack. Or eat 5 of them while they are hot. Bust out the honey. 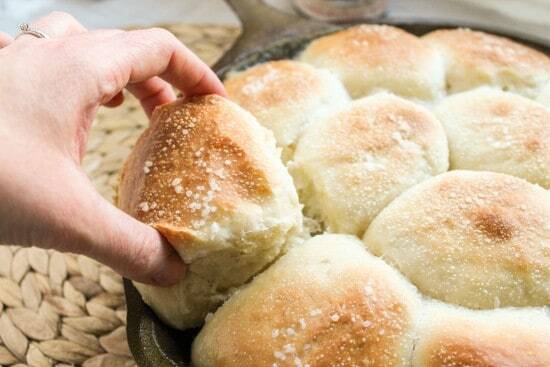 These rolls are great for freezing. Bread freezes so well. You could make these a few weeks before Easter, pull them out on the day of, let them thaw on the counter, then bake at 350 F for 2-5 minutes until warmed. 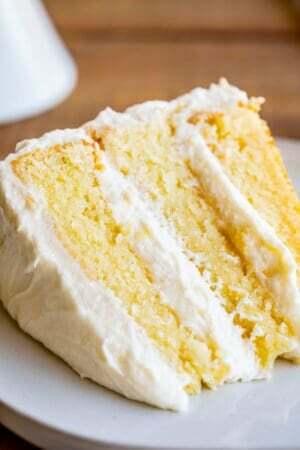 *Many versions of the recipe say to use 1/3 cup sugar. Personal preference I think! 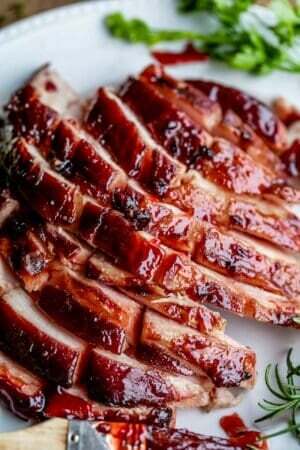 Source: This recipe is from The Lion House restaurant in Salt Lake City. 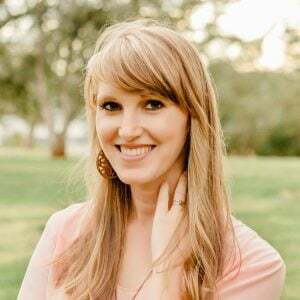 As seen on Taste and Tell, The Girl Who Ate Everything, Mel’s Kitchen Cafe, and many others. 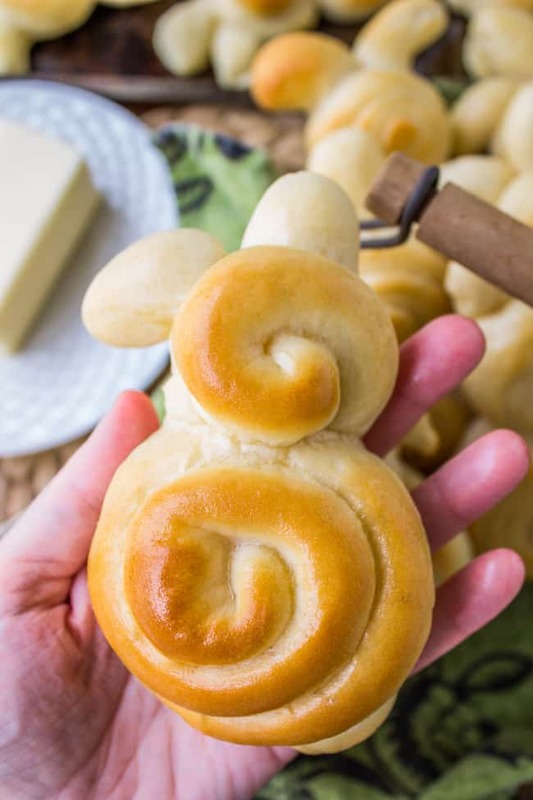 I found the bunny-shape idea on Taste of Home. Some finger stick-age is ok.
Left: bunny bodies. Right: Bunny heads. Have you ever cut dough with floss? So much easier. Don’t use mint! The one on the left was the end piece of the roll that I cut into 24. It turned out a little puffier, but I thought both of them were cute in the end. 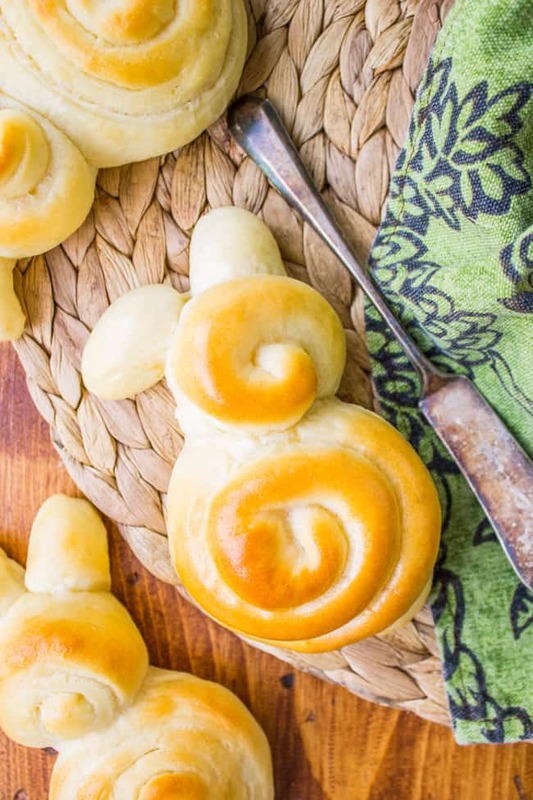 You might like these other bread recipes for Easter! Oh, those bunnies are the cutest!! I love them!! You are SO cute with these bunny rolls Karen!! Besides, cuter food just tastes better. It’s a fact. ;) Pinned! This is the cutest freakin’ idea I have ever seen. I love how their ears are all flopping in different directions! English gardener adopts a baby goat?? I have to see this. Here I come google. Oh and PS the ruler is just there to give perspective, so that you can kind of see how big to roll out the dough. I DO NOT do math. My last math class was AP stats in my senior year of high school and I only passed because my friend Michael Beckler “helped me” and by helped I mean basically let me copy his hw. haha. Somehow I managed to get through college without taking one single math course, which is pretty much the only reason I made it to graduation. Hallelujah. well these are absolutely adorable! i had rats growing up (I asked for a hamster and got a rat, don’t ask me!) but they would run on that wheel all night too. And if anything with fabric got close to the cage, it was a goner. I think I’ll stick to looking at cute animals on the internet. That goat picture? For the WIN. And let’s just discuss how insanely adorable these rolls are…because I’m not sure I’ve seen anything cuter. Love! I know! It’s the mid-air frolic that gets me. Who looks that cute…in the air?? These rolls are the cutest things ever!!! I mean come on!! I love it! And that picture of the goat … so stinkin’ cute. Totally adorable and I’m am so sure they’re delicious!! I love making things from scratch. These look SO delicious!! I had pet rats. Rodents and hamsters? Got nothing on the barking neighbor dog, no sir. Loudest animals at night in existence!! I’m in LOVE with these rolls. Happening, totally. 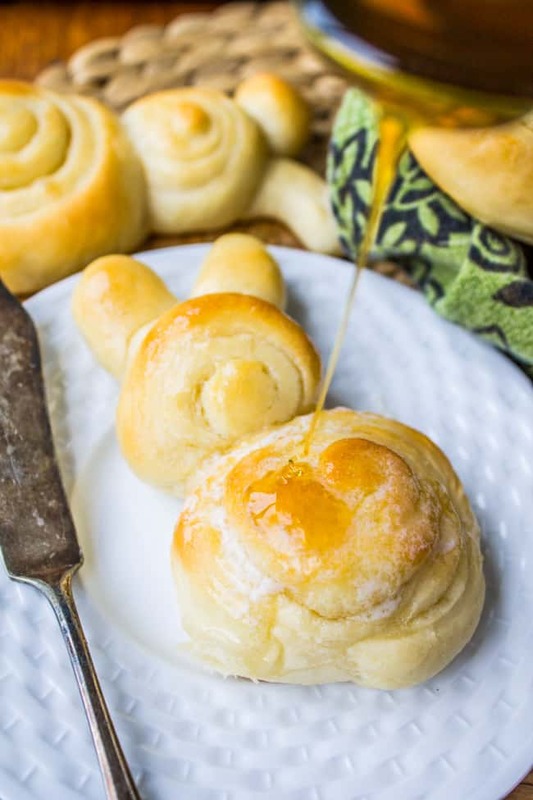 These are the most adorable dinner rolls I’ve ever laid eyes on! I can’t get over how cute they are. These are adorable! I’ve only seen the snipped bunny buns before. Yeah me too Julia! I did some research on that– did you know that that famous photo is not regular bread, it’s Japanese manju? It doesn’t rise as much which is why the ears stay rounded and soft. I read that on Kirbie Craving’s post I linked to up there. These are the cutest rolls I have ever seen. Talk about the perfect Easter carb! Baby goats are super cute. I used to go to a Vocational Agricultural High School (back in the day) and we always had goats and chicks roaming around.